Cruising from Baltimore with stops in Charleston and Orlando, we finally made it to the Bahamas via our Royal Caribbean cruise ship – the Grandeur of the Seas. 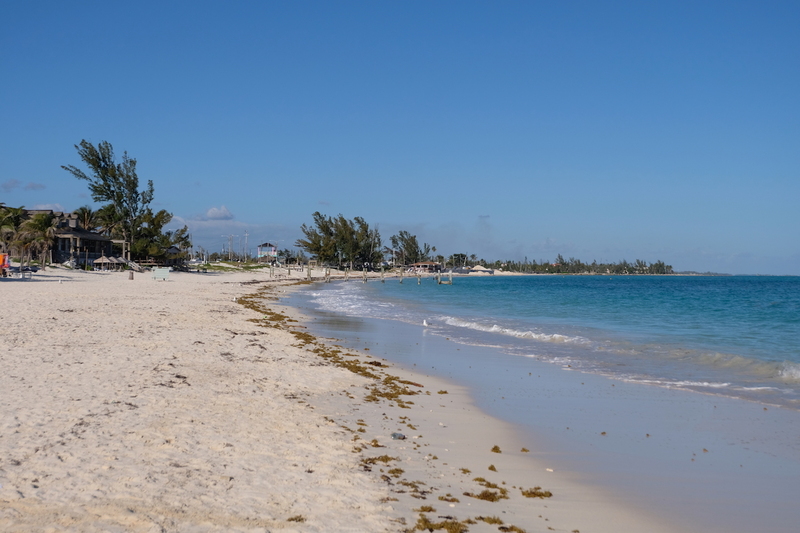 Excited as I was to finally visit one of the Bahamian islands, Nassau was what I was looking forward to the most; but since our first stop was Freeport in Grand Bahama Island, I had no idea what to expect! The summary of our arrival details are as follows. Instead of booking a tour excursion with Royal Caribbean, we decided to wing it, and see where our feet would take us upon docking in Freeport. As soon as our ship was cleared, we exited the cruise ship and were greeted with a small shopping area with several outdoor stores where you could purchase local finds, together with a wide array of options for where to go. Taxi drivers will greet you with several price rates, depending on where you want to go. – This transfer is shared with a couple of other people, as you’ll be riding in a 14-seater air-conditioned van. – Travel time: each way takes about 20km, so the ride per way can go up to thirty to forty minutes, depending on how fast your driver traverses through the roads. 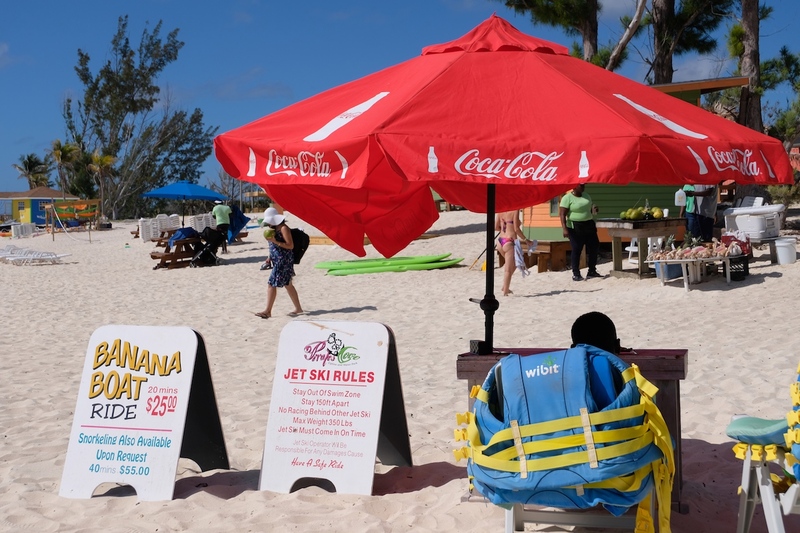 – This only includes entrance to the beach, and none of the other beachside activities; even the beach chairs had an extra cost of US$15 for a pair. 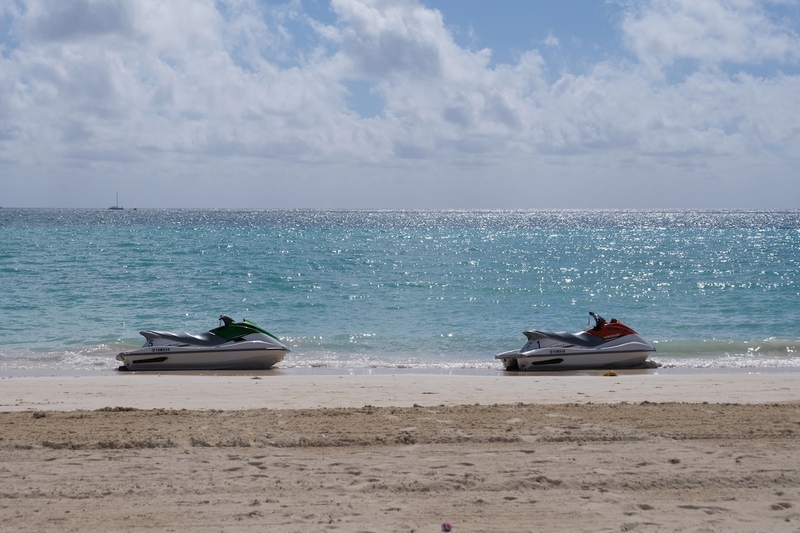 – Approximate time spent in Taino Beach – 6 hours, assuming you take the first shuttle in and last shuttle out, like we did. Note that the transfer fee is charged upon departure from Freeport, and they give you a stub for the ride back, so don’t lose the slip they give you upon payment! There is a trip back every 30 minutes to every hour, so you can head back to the port anytime you please; while the entrance fee is charged upon arrival at the beach, before entering its vicinity. 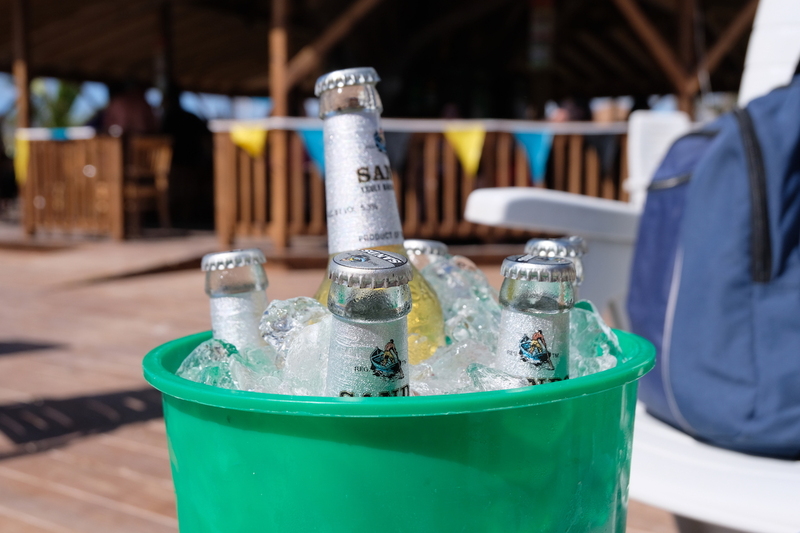 In total, it only cost us US$19 per person to enjoy a day at Taino Beach, but this does not include food, drinks, shopping, and like I said – a beach chair. It’s important to note early on as well that all we did during this day was lounge around, enjoy the food and drinks, and of course: the beach; so this explains why I barely have any photos from that day. 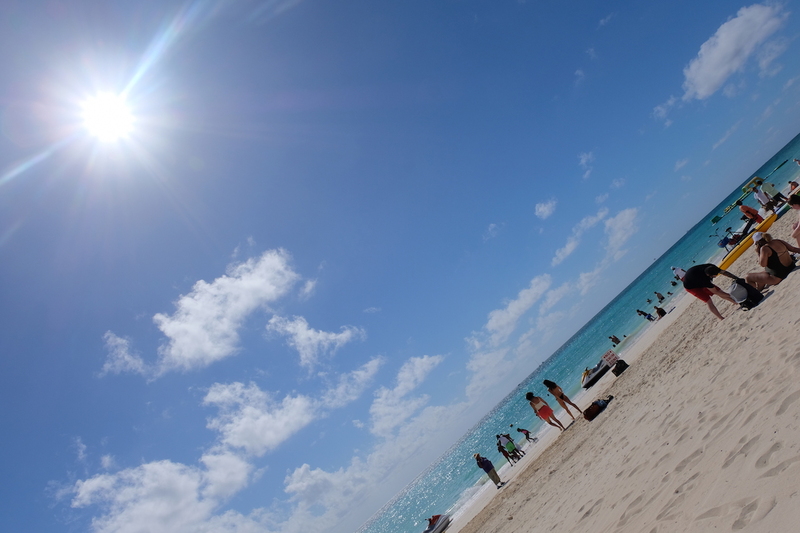 Nevertheless, we got to make the most out of our first day in beautiful Bahamas! So as soon as we arrived, we expected a lot more people, as there were three cruise ships docked at Freeport, including the Grandeur; but surprisingly enough, the crowds were nothing as compared to what we’re used to back home in main beaches located in the likes of Boracay or Palawan. There are options as well for outdoor beach activities that’ll cost you extra. 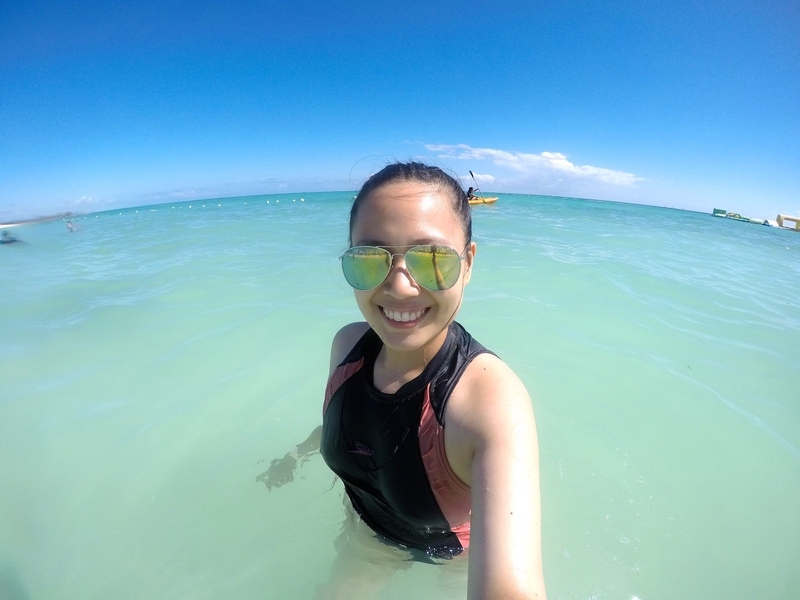 Prices vary, of course, depending on which activity you would want to do; but since we didn’t want to spend too much (food and alcohol were what we spent most on for this trip, LOL), we decided not to avail of any of the outdoor beach activities. 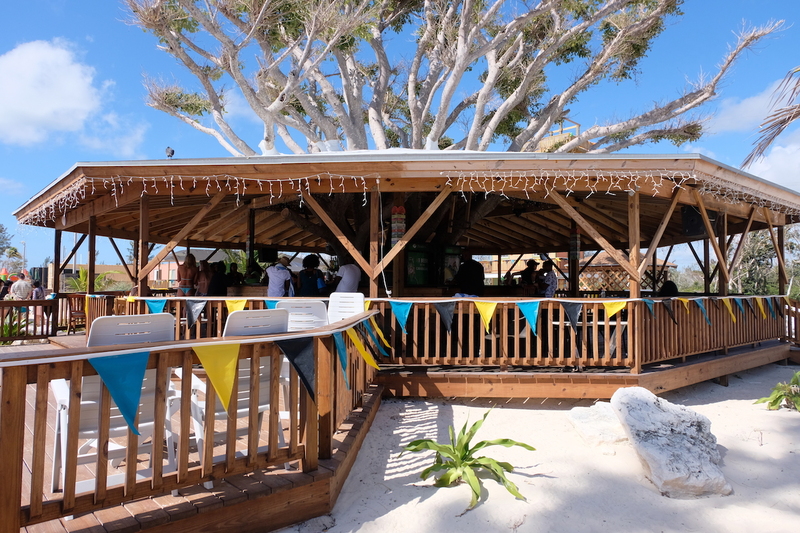 During our first few hours on the island, we spent most of our time in the restaurant & bar fronting the beach, enjoying drinks and food out in the Bahamian sun. 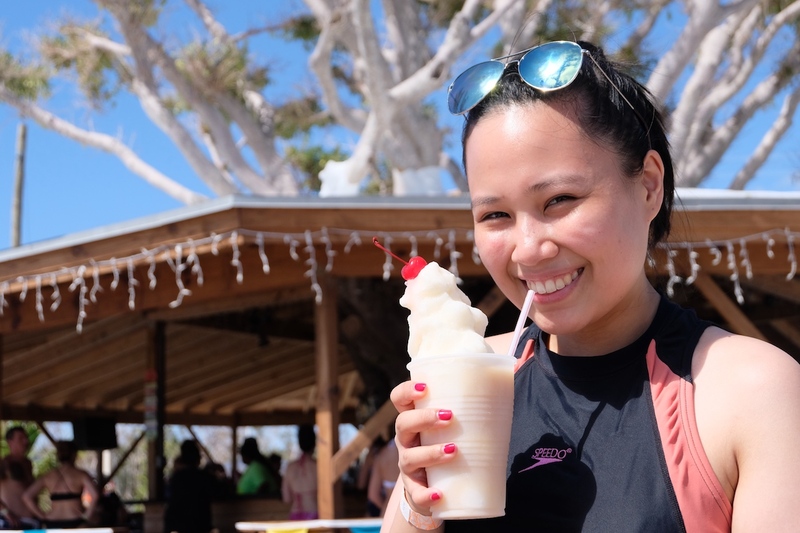 Previously I’ve heard people say that the Bahamas is overrated, but even if this was our first stop in this island country, I felt that it was actually underrated! The beaches are gorgeous, and the sun is fantastic; with the water even adding more to its charm – and all this beauty, despite being damaged by the storm five months prior. 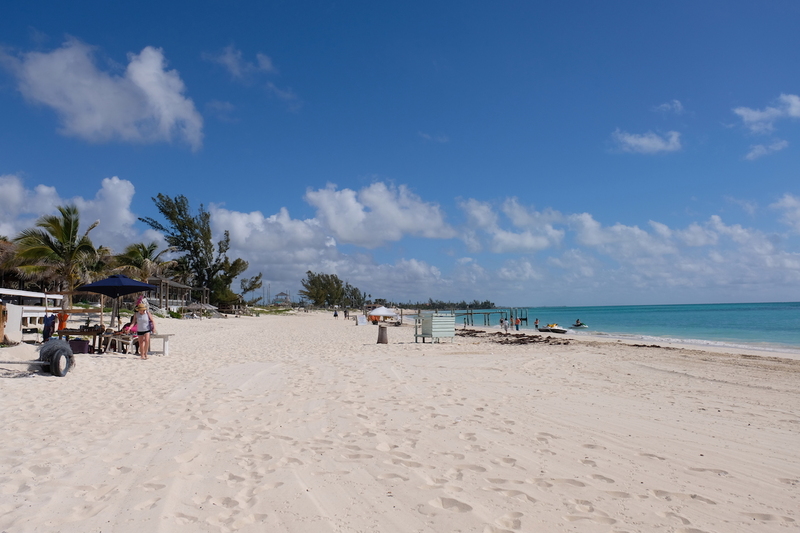 It was amazing to see how fast they cleaned everything up and how quickly the recuperation came about, welcoming tourists back with its incredible Bahamian island charm. Also, it’s important to note that the retail and dining spots in the Bahamas begin to close at 5 in the afternoon, in time for sunset, so there’s not much to do thereafter; but this did not pose as an issue for us, as we took the final shuttle back to the port at 4 in the afternoon, and went directly back to the ship in time for our ship’s departure at five. 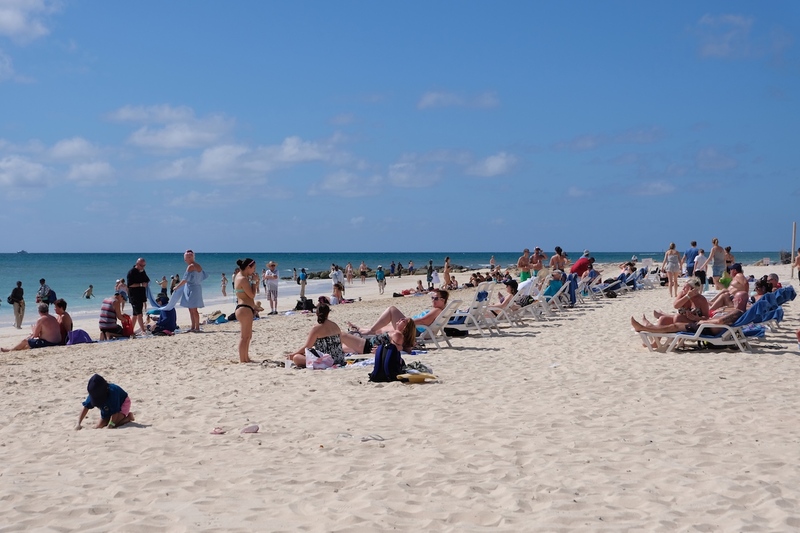 By this time, majority of the people had gone back to the cruise ship earlier in the day, but since we were too busy loving Taino beach, we actually had to be notified by the crew in Taino that the last shuttle was arriving in a few! So make sure if you ever end up in this part of the world via a cruise ship, that you take note of last shuttle schedule back to the port. 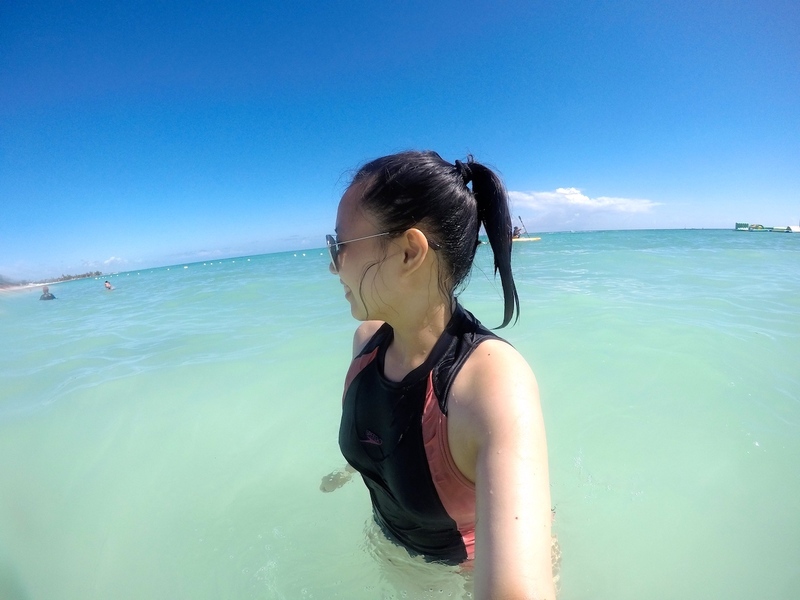 Note that though it’s not necessary for me to explicitly say it once more, as I’ve already made it obvious, but I loved every single moment of our day out in Taino Beach, enjoying the sand, sea, and sun. 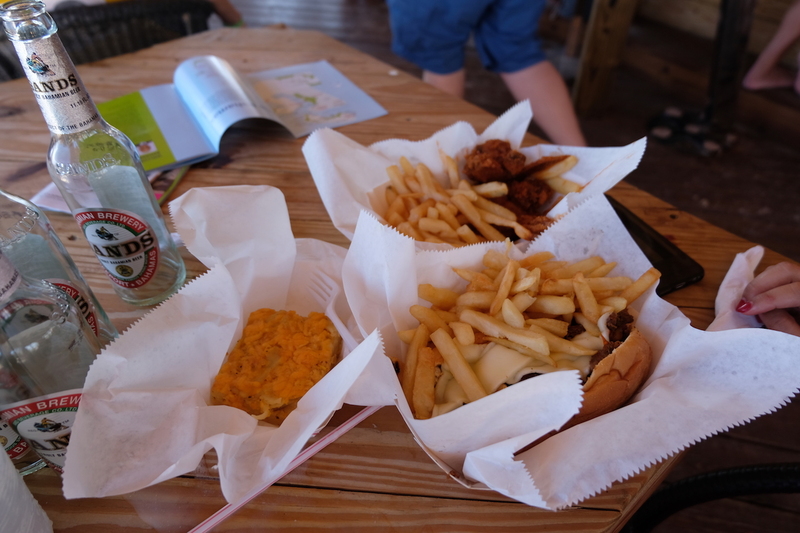 Surely, this was a testament to what our two remaining cruise stops in the Bahamas had in store for us! 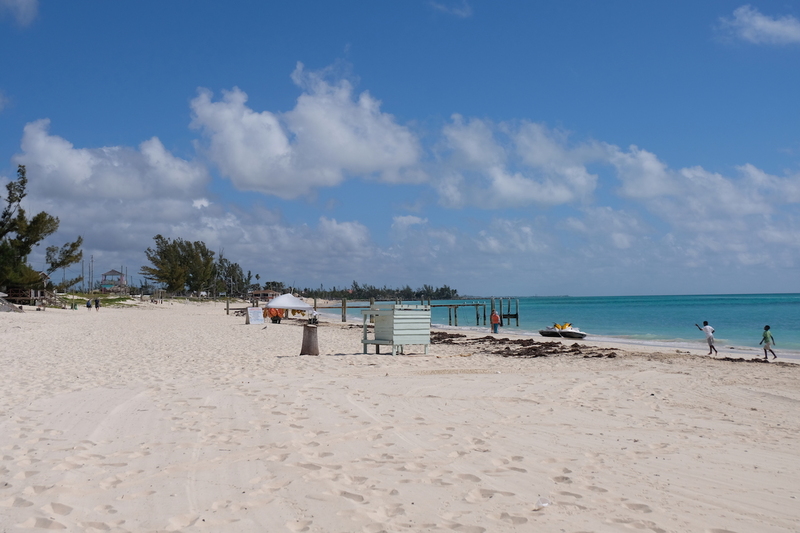 So if you ever find yourself in Freeport, Grand Bahama Island – more likely so on a cruise ship, then head on over to Taino each, and you’ll definitely get your money’s worth!